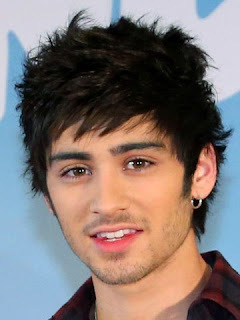 Zayn Malik has revealed that he enjoys belting out Beyonce Knowles' tunes when he's having a wash. The One Direction star, 20, really goes for it in the bathroom because he reckons his vocals sound more powerful there than they usually do. 'I love singing in the shower,' Zayn tells the Daily Mirror. Zayn's morning croon could come in useful as a warm-up tool before he and his 1D band mates head out on stage throughout their Take Me Home world tour. The Bradford boy will be on the road with Harry Styles, Liam Payne, Niall Horan and Louis Tomlinson until October - so it's just as well he's having a great time so far. 'London !! you are awesome #1DWorldO2 is open and we are performing there !!' Tweeted Zayn yesterday.